In 1991 Ken LoBue and Richard Phillips decided to leave the lumber company they were working for, taking their 35 years of experience and added a lot of hard work, they created Highland Lumber Sales with the philosophy of providing the customer with quality products and outstanding service at a fair price. They found a small office in Santa Fe Springs with a storage yard down the street. Shortly after, they grew out of that location and moved to the 3-acre lot in Anaheim. In 1996 Ken and Richard realized in order to live up to their philosophy, they needed to manufacture shutter components on site. Therefore, in 1996 they started Anaheim Millworks. However, since neither Ken, nor Richard, had any experience running a mill they brought Randy Wilson and his 26 years of experience on board. They have since invested in 6 Weinigs, 5 custom-built sanders designed exclusively for the shutter industry, 2 resaws and 2 rips saws, including a brand new Marine Johnson optimizing rip. Highland Lumber is a bilingual company. 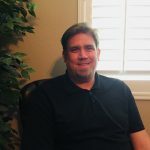 Richard Phillips started his career working at Southwest Forest at the age of 18 at the ground floor pushing a broom, but quickly moved up the ladder to tallying in lumber and then into sales. He then met Ken LoBue when he started working at Freemont. The two of them worked together for 4 years before deciding to start Highland Lumber. Richard’s hobbies include real estate, motorcycles and golf. 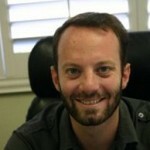 Daniel LoBue Graduated from San Diego State University in 2005. Upon graduation, he came to work at Highland Lumber. He started at the bottom pulling orders and prioritizing inventory needs. 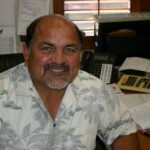 Alan Arbiso has had just about every title you can have in the lumber industry. He has been a shavings bagger, a truck driver, operations manager and where he has flourished… as a salesman. Jeffrey James has worked in the lumber industry since the age of 16. He started out working in the mill feeding machines and has worked his way up through the shutter and milling industries. He is now a salesman for Highland Lumber. 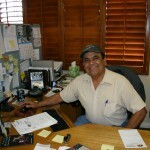 Ben Hernandez started working in the lumber industry while he was with Ganahl Lumber operating a rip saw. He convinced the company to use thinner kerf saws, which increased the yield on the rips he made. After Ganahl, Ben came to work for Highland Lumber. He started as an order puller in our shutter industry. Currently, Ben is serving as our operations manager. Jennifer Casas started in the lumber industry while at Timber Mountain. She started as an administrative assistant but her talents were too great to keep her there. She rose up to A/R specialist and credit manager. When Jen came to work for Highland Lumber, she started as our A/P specialist. 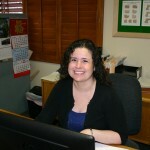 Currently, Jen serves as our credit manager, office manager and inventory yield specialist.